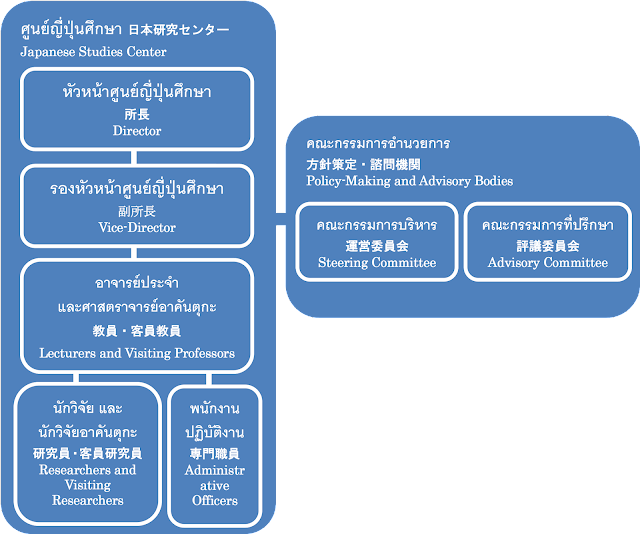 Advisory committee is composed of external experts and director of the Japanese Studies Center. The roles of the committee are as follow: 1) providing advice or suggestions to the center, 2) monitoring and directing the policy of the center and 3) functioning as supreme decision-making body. Steering committee is composed of experts in the university and director of the Japanese Studies Center. The roles of the committee are as follow: 1) providing advice to general activities of the center, 2) monitoring and directing activities of the center.